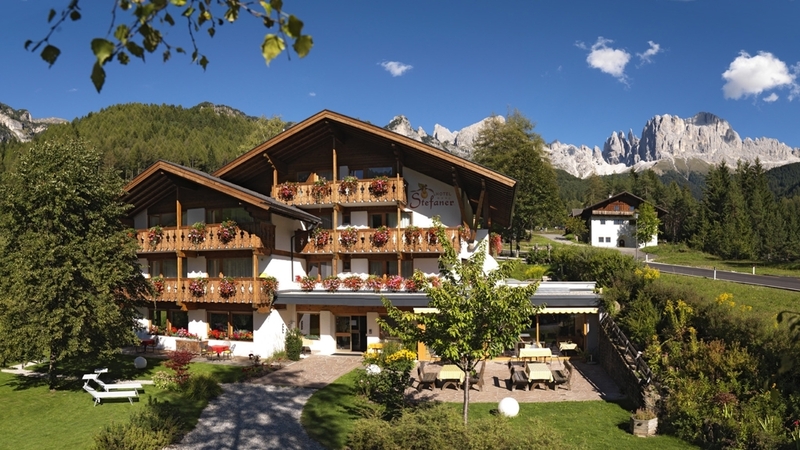 Surrounded by the magnificant Dolomites, the hotel Stefaner is the ideal home for your holidays in winter and summer. 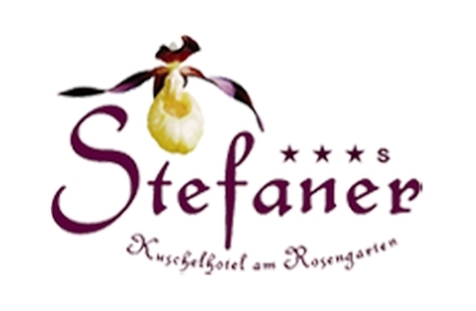 Welcome to Hotel Stefaner***s in Tiers am Rosengarten! At our hotel Stefaner in Tiers am Rosengarten, you can recharge your batteries directly from nature. Our house nestles in the beautiful landscape of the National Park Schlern-Rosengarten, surrounded by the beautiful peaks of the Dolomites. Woods and meadows are all around our home with their colors and their incredible stillness. Our rooms are very comfortable and spacious and offer breathtaking views of the beautiful valley of Tiers and a beautiful sunset on the rock faces of Mt. Rosengarten. In the small garden you can relax with the background hiss of the stream, the scent of wood and the twittering of birds. Both in summer and in winter, the possibilities for lovers of hiking and snow are really a lot! Our Oceano Fiorito comfort rooms are furnished in chestnut and larch. The large window and balcony make them pleasantly bright, and give you unique views of the Dolomites, San Cipriano and the Val di Tires. Enjoy your very own "Dolomite cinema experience". The Dolce Nido Radura rooms are decorated in welcoming colours that warm the heart and give a feeling of security and relaxation. Let yourself go, and simply enjoy the wonderful view of the Val di Tires. The Orchidea Selvatica mansard room is comfortably furnished in Swiss pine and larch. The scent of the Swiss pine gives it a welcoming, home-like atmosphere. The spacious setting invites you to relax and forget the cares of everyday life, and the splendid view lets you enjoy the alpine world from the comfort of your room. Vegetarian food , Home made products, Gratis Skibus, Sunshade, Deckchair, Ski depot in the house, Hiking Guide, Journals at disposal, Multilingual receptionists 24 h, Shuttle service (train station, airport), Snow boot dryer, Shoe shine machine, Quiet position, above 1000 m a.s.l.